Technology is evolving at a rapid pace. A few decades ago, the thought of having a real-time conversation with someone several hundreds of kilometers away was unfathomable. Nowadays, it has become a mundane activity. As technology adapts, so do its users. The way we interact and work with our gadgets is constantly being tweaked to better suit our busy schedules and dynamic lives. Let’s say you’re collaborating with a large corporation. One of your primary duties is storing data and managing hardware and software for other employees. Naturally, you must make sure that everyone is using licensed programs and that new employees have access to suitable computers. Easier said than done. In the past, every person that came in had to receive a separate subscription. In addition to this, data could only be stored on additional storage devices that were extremely costly, not to mention that they took up a lot of space. Tech experts have come up with the perfect solution to some of these problems: remote machines that can remotely run programs and store information. The good news is that they only require you to have an internet connection. What would this mean for the corporation that you are working for? First of all, it would mean that all employees can login through the same web-based tool, instead of using individual subscriptions. It would also mean that you can store sensitive data without fear of it being corrupted. In addition to this, there are some cloud computing companies that will actually ‘lend’ you their computers. If you want to create a 3D Render and model you probably already know how much CPU and GPU is required for it to run smoothly. Some people simply cannot afford a well performing computer, so they turn to cloud computing companies and have their work completed on their devices by linking them. Interestingly enough, most applications and software nowadays use ‘the cloud’, yet many users are unaware of this. Questions like ‘what is the cloud?”, “what is cloud computing?” and “are we using the cloud now?” keep popping up. You probably already have an idea about the cloud, but how much do you actually know? Assuming that you are storing important data through your cloud storage provider, you might want to find out more about how this type of service works, how your data is being protected etc. The following article was designed to answer some of the most frequently asked questions related to cloud computing. We will also be comparing some of the best cloud computing providers and discuss the advantages and disadvantages of each. Cloud computing is NOT your hard drive. Traditionally, PC users store their data on local storage devices (memory sticks, external drives, computer memory etc.). These devices provide a false sense of security, because your data can always be found at arm’s length. However, traditional storage units are no longer enough for larger companies (who might end up paying obscene sums of money for extra units). They are not as safe as you would believe either. “The practice of using a network of remote servers hosted on the Internet to store, manage, and process data, rather than a local server or a personal computer. For a service to be considered “cloud computing”, it must be used over the internet. In other words, the service must synchronize your data with other data that is already ‘in the cloud’. One of the simplest forms of cloud computing is the email account. Companies like Yahoo or Google store all attachments and messages online and you can access them by login on your account. In this day and age, cloud computing has become as convenient as plugging your external storage into your PC, because WiFi networks are available everywhere. There are many advantages to cloud computing that are worth considering. However, cloud computing for the regular person is very different to the cloud for businesses. We will be discussing about SaaS (software-as-a-service), PaaS (platform-as-a-Service), IaaS (infrastructure-as-a-service) and other relevant business services a bit later. 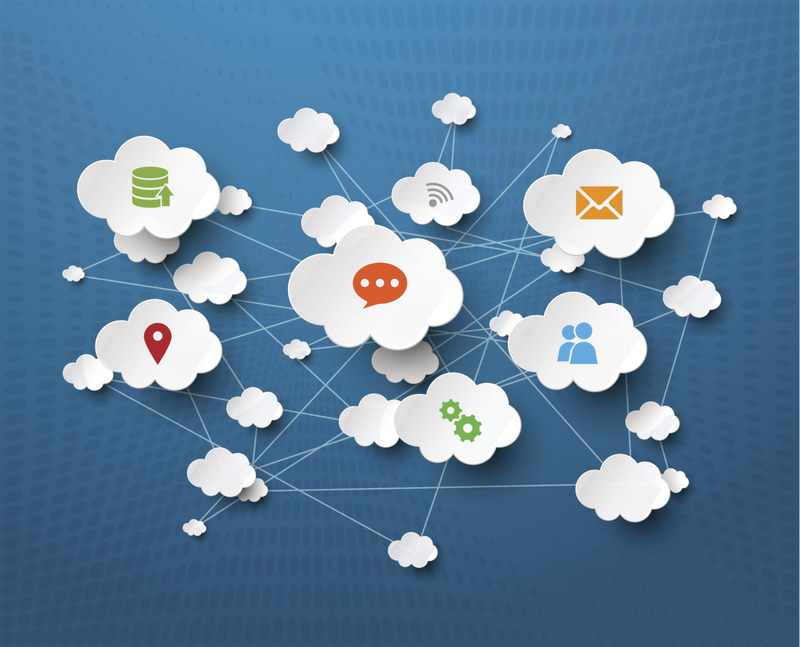 When it comes to cloud computing, all the information you need is out there. If you really want to know about IBM’s SoftLayer, you can read all about it online. However, most users don’t really care about what happens on the other end of the cloud as long as it is reliable, convenient and secure. The good news is that cloud computing can only become more reliable, as it is one of the fastest growing tech industries at present. Because so many people are using the cloud, providers are able to invest in larger servers and offer balanced services that caters to the need of the ‘big’ (companies) as well as the ‘small’ (individuals). Cloud computing has infinite possibilities. Most users only use it to store files, stream music or download apps. However, its impact in business set-ups has led to its use inside as well as outside of IT departments. With it companies can improve their core competencies, increase productivity, safely store sensitive data and more. Cloud computing is a lot more complicated than it seems. We were talking about PaaS, Saas, IaaS and BPaaS (business-process-as-a-service) earlier. All of these services are built on top of another. If you want to understand all the technical details of cloud computing you should start with CCRA (cloud-computing-reference-architecture) blueprint, which was created through the collective effort of hundreds of developers and implementations of clouds. CCRA has helped define basic elements of the service. As you can see from the image above, Infrastructure represents the foundation for all the other building blocks. This infrastructure can support all types of cloud (IaaS, PaaS, SaaS etc.) – part of cloud services. Next, these services must be managed and offered with the help of OSS (operating system services) and BSS (business system services). OSS and BSS also make it easier for the provider to create an invoice for the customer. Lastly, the cloud computing environment requires Cloud Service Creator and Cloud Service Consumer Components for interface and tool development. Sounds confusing? Let me make it easier for you. The user logs in through a portal in order to use the services of the cloud computing company. The service offered by the company can be anything from an application to a virtual machine or software. Once your request is validated through BSS, the request will be processed through the OSS. Complete de payment information and you can use the services provided. The first thing you need to know about cloud computing architecture is the fact that there is a front-end and a back-end which are connected to one-another through the Internet. The front-end is what the consumer sees and it includes the personal computer and application required for login, while the back-end is the cloud system. The latter consists of a system of servers, computers and data storage systems that we refer to as the cloud. Every application from the cloud has its dedicated server. Administrators and developers are in charge with traffic monitoring and client demands. They ensure that all operations run smoothly while following a set of protocols and using middleware. What is middleware? Basically it is what allows server computers to communicate with each other. Cloud computing companies with high demand will naturally require more storage space. To ensure that customer data is protected copies and backups of the data will be made on other computers (in case of malfunctions). With these copies the central machine can perform backups. The term for this operation is redundancy. There are three basic options for cloud computing. Their names and definitions vary slightly, but everything boils down to IaaS, SaaS and PaaS. There are a few other options worth considering but we will only be presenting these three. Tip: If you have a small company that doesn’t rely on its own software, you might want to consider SaaS (software-as-a-service). Infrastructure as a Service (IaaS): it represents the building block of cloud computing and includes services such as security, storage and The first example of IaaS that comes to mind is VoIP (Voice over Internet Protocol). Other examples include Amazon’s Web Services a database and virtual private server which offers support services by the hour. There are quite a few SaaS providers that use the services of IaaS providers. Platform as a Service (PaaS): A lesser used type of cloud computing is PaaS. Wht it basically does is to provide with a framework of functions that can be customized and used to create other applications. This service is generally preferred by developers. Examples: Force.com. Microsoft Azure and Google App Engine. Cloud computing isn’t a concept that appeared overnight. It has been 50 years in the making. In these years, servers have had time to mature and apps got enough space to develop. The first mention of such service was made by J.C.R. Licklider in the sixties. He referred to it as ‘intergalactic computer network’. Licklider believed that everyone on the globe should be able to access programs and data through an interconnected system. Another visionary worth mentioning was John McCarthy who believed that computation should be delivered as a public utility. Sadly, because bandwidth was very low before the nineties, cloud computing has been sort of a late-bloomer. 1969: The ARPANET prototype, which linked four geographically dispersed computers with the help of ‘internet’, was launched. 1970s: the term ‘client-server’ is born to define the concept of clients accessing various data from a central server from remote locations. 1995: The cloud is born. Because the concept was difficult to understand, network diagrams started showing images of clouds for non-technical users. 1999: High on the heels of Salesforce’s announcement, Google also launches its search service. Netflix also launches its mailing DVDs service. 2003: The birth-date of Web 2.0, a type of web that brings rich media and user-generated content to individuals through dynamic interfaces. 2007: First iPhone, which could be connected to AT&T wireless networks, is released. Netflix also releases its streaming service. 2009: Browser-based clouds are introduced (example: Google Apps). Lower Hardware Costs: As we mentioned earlier, cloud computing systems can significantly cut down the costs that come with personal systems. In order to create a super-detailed render or play the latest version of GTA you will be relying on the company’s systems. In other words, all you need is a good internet connection. It’s enough to have an inexpensive terminal with suitable accessories. Also, if you simply want to store stuff on the cloud you won’t have to invest in extra memory or storing devices. Less Things to Store: storage space is a serious problem for a large company. Sometimes it can become a problem for a regular user. There are some corporations that still choose to rely on computer hardware for data storing. They end up filling entire rooms with devices. Other companies, which collaborate with cloud computing companies, simply pay a metered fee and forget about such menial problems. Less Need for IT Support: cloud computing systems are monitored and administered by IT specialists. In theory, there are more chances of having your own device (or the device of a company) damaged than experiencing malfunctions within a network of machines. Also, if one system breaks down within the cloud, there are several hundred ones that will have backups of your data. Company Wide Access to Software: We mentioned how expensive individual subscriptions for programs can be earlier. With cloud computing multiple users can access the same program at the same time. This can significantly reduce costs, especially within companies. Instead of purchasing licenses for one employee, the director can pay a fee to a cloud computing provider and gain access for his entire team. More Power: Some operations and systems (example: grid computing system), conduct operations that could last months, if not years, on an individual computer. Because networks of computers can tap into each-other’s power, processing that would normally take so long can be reduced to a few hours of days (example: 3D monument printing). It’s safe & private: cloud-computing providers use advanced security systems to protect data. Eco-Friendly: in general, cloud computing solutions are ‘greener’ than traditional IT solutions. Many providers actually optimize their data-centers for energy efficiency. Reliable & Convenient: without a doubt, the best thing about the cloud, is that it can be accessed anywhere, anytime from any device. All you need are your login details and an internet connection. Cost: ‘Wait a minute, you just said cloud computing is inexpensive!” Yes, we did. But although cloud computing seems cheap at first glance, and it probably actually is for some individuals, there are some companies and services that can ultimately be more expensive. The idea is to make sure that you are comparing apples to apples. Let’s say you want to install a new tracking software for your employees. It comes with individual subscriptions. You have also found a similar product on the cloud. To determine which one is better you must compare their features. Which features are missing? How important are they? Also, there is a little thing we call ‘fine print’ where some companies decide to explain additional costs. Make sure you understand the pricing plans for any service that you want to use through the cloud. Most cloud computing providers present themselves as utility-based providers (you pay for what you use). However, companies should look towards a predetermined contract that works independent of use. Possible Downtime: the only thing that you need in order to use the cloud is an internet connection. In other words, when you’re not goes down, you also go down. Before say ‘yay’ or ‘nay’ to the cloud take into account the history of your internet connection: do you have frequent outages? Is speed slow? Etc. In addition to this, there are moments when even the cloud computing service provider suffers from outages or encounters technical difficulties. Lack of Support: The New York Times urged individuals and companies who need ‘handholding’ to not use the cloud. That’s because support on the cloud is less than ideal. Questions remain unanswered on forums and mail responses come after more than 48 hours. Imagine your business being offline for more than 48 hours. Unacceptable. On the bright side, if you have an IT specialist on-call there shouldn’t be any problems that he cannot solve. Security: Cloud storage security is, in most cases, extremely strong. That’s because hackers do not have a definite target and also because one of the top priorities for cloud computing companies is constantly improving security. However, there are still some issues that may arise. For example, the interconnectedness of servers may create gateways for skilled hackers. As a general rule, you should never store data that you are not comfortable having on the internet. Storing it on your hardware may provide a false sense of security. Please note that PC computers generally have extremely poor security, as compared with cloud computing companies. Established cloud computing companies have made it very clear that they use the latest & most advanced security software. But security issues don’t necessarily have to do with the company itself. All you need is one disgruntled employee and a password slip and all the data on your cloud may be compromised. You should be mindful, not only of the cloud computing provider that you choose, but also of people that you allow on the cloud. Software & Device Incompatibility: some software are incompatible with the other. Also, connecting a personal phone or tablet to the main computer may prove difficult in some situations. MCC stands for mobile cloud computing. 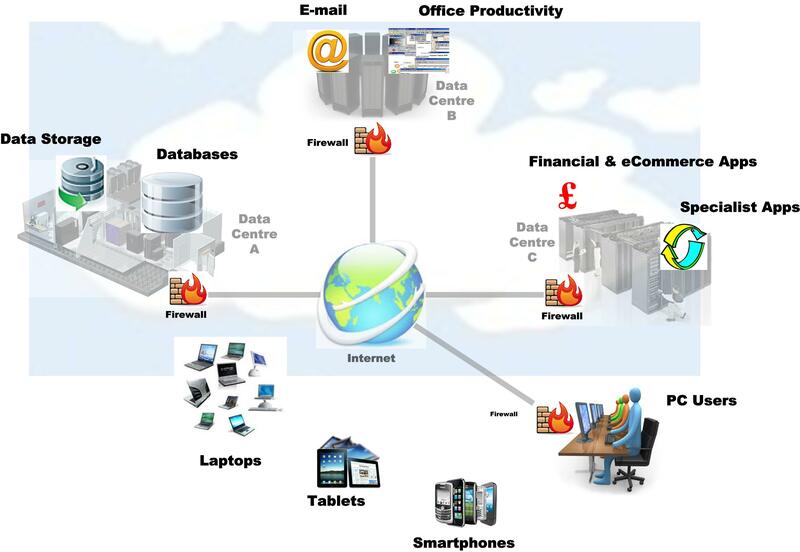 It represents a combination between wireless networks, mobile computing and cloud computing. As consumer interest shifted towards mobile devices, and as a result of their prevalent use, cloud computing providers also started creating platforms for them. The main goal of MCC is to provide rich mobile applications and services through the cloud. Function-wise, MCC isn’t very different from CC. It also uses the IaaS, PaaS and SaaS models and it enables the consumer to conveniently access networks, servers, storage spaces, services and applications. There are a few major operating platforms used with MCC: Research in Motion (RIM), Windows Mobile OS, Android & Apple iOS and Symbian. Each of them comes with its set of unique challenges. Smart-phones and tablets are the main devices targeted by MCC. From the customer’s perspective, a cloud-based mobile app is similar to one that can be downloaded from the app store. The main difference is that power is driven not from the device itself, but from the cloud. Cloud computing is still a young industry. Many of its drawbacks are due to the fact that technology isn’t advanced enough. This means that, in the future, cloud computing providers will discover more reliable & secure services. According to Inc, by 2017, two-thirds of the world’s businesses workloads will be processed in cloud data centers. Database-as-a-service (DBaaS) is also growing from 23% to 44%. The future looks bright for Cloud Computing. With so much hype around it we can only expect that more applications and software for it will become available in the coming years. As a matter of fact, it is predicted that by 2016, over a quarter of the world’s applications will be available on the cloud. This shouldn’t come as a surprise considering that roughly 58% of businesses are already investing 10% of their annual budget on cloud computing services. I’m not the only one who believes that SaaS is incredibly useful. It seems that this type of service has a growth rate of approximately 20.2% percent (18.2 billion dollars in 2012 -> 45.6 billion dollars by 2017). As a result, companies offering subscription-based services are rebranding to “as a service” to get a slice of the cake. We haven’t really talked about hybrid cloud computing. It means a combination between personal and cloud services. It is unlikely that individuals and businesses will completely rule out personal storage, but they are looking towards the cloud with more interest. A pure cloud implementation would be nearly impossible to achieve due to the complexity of existing environments. With hybrid cloud computing one can enjoy the best of both worlds: incredible performance & convenient data and software management. Because competition on the cloud is brutal, companies are more determined to create better & innovative products. Analysts believe that cloud computing will lead to many interesting innovations and useful software. The last prediction refers strictly to development on the cloud. As cloud computing will continue to be adopted, developers will also shift their interest towards it. At this point you know almost all there is to know about cloud computing services, models, advantages & disadvantages. Before we conclude this guide we would also like to take a look at some of the most important companies in the cloud. We already mentioned SoftLayer earlier. The global infrastructure worked independently until it was acquired by IBM. At present, Softlayer offers high-performance IaaS applications for various online services. Interest users can test SoftLayer for free for 30 days. Amazon has always been considered one of the best cloud computing companies out there. Even though it’s been in the picture for more than 10 years, the company still works like a start-up and comes up with innovative solutions. It’s amazing when you think that a service which was designed to sell books online has managed to become a catalyst for such a huge tech industry. Microsoft may have been sort of a late-bloomer in the cloud computing industry, but the Azure already has millions of developers registered. Microsoft Azure offers several interesting services, including Media and video streaming and freebies such as Hotmail, SkyDrive. Let’s not forget the enterprise Office 365. The great thing about Microsoft is that it made its Azure service relevant to users by offering great prices and applications. Google has also been implementing some pretty interesting concepts in the cloud. Developers can do their thing on the Google App engine, regular users can store their data on the Google Cloud Storage, and tech enthusiasts can have fun with Google Apps. We should also mention Google Drive, which is already rivaling Dropbox and SkyDrive and a few other experiments: Google Cloud Connect, CloudPrint and ChromeOS (a computer which has enough memory to run the operating system but relies 100% on the cloud). Citrix bought the Cloud.com startup for 200+ million dollars and instantly gained access to open-source software designed to build clouds. It then gave the software –CloudStack- to the Apache Foundation. Customers can choose from purchasing VMware VCloud and getting CloudStack.com for free. Developers love Salesforce because it lets them build their apps on the cloud so easy. It integrates superbly with Node.js, Ruby, Clojure, Java, Scala and Python. The best cloud computing service for Linux computers is Linode. Verizon also entered the cloud computing market with its purchase of Terremark. This cloud telco controls computing infrastructure as well as network pipes between the front-end and back-end. There are several other notable companies and services in the industry, including Red Hat, Rackspace, Dropbox etc. but we will be presenting them in more detail in our Best Cloud Computing Companies article. We hope that this information helped you understand the cloud a bit better.